BASCRM accounts enables you to capture, track, manage and share vital customer information across the entire organization. BASCRM accounts will aggregate all customer details, providing a 360-degree view of the profile. 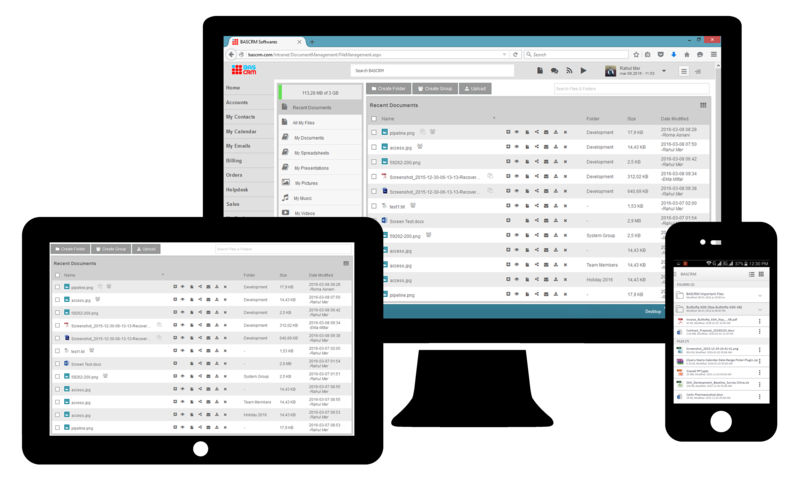 Instantly access activity history, communications, internal account discussions, notes, e-mail and much more. A single unified database ensures that information is immediately available without having to move from system to system. A full customizable account profile enabling all relevant information about prospects and customers. From your PC, Mac or Mobile devices. Associate accounts and related key contact by monitoring incoming and outgoing communication as emails, meetings, SMS and much more. 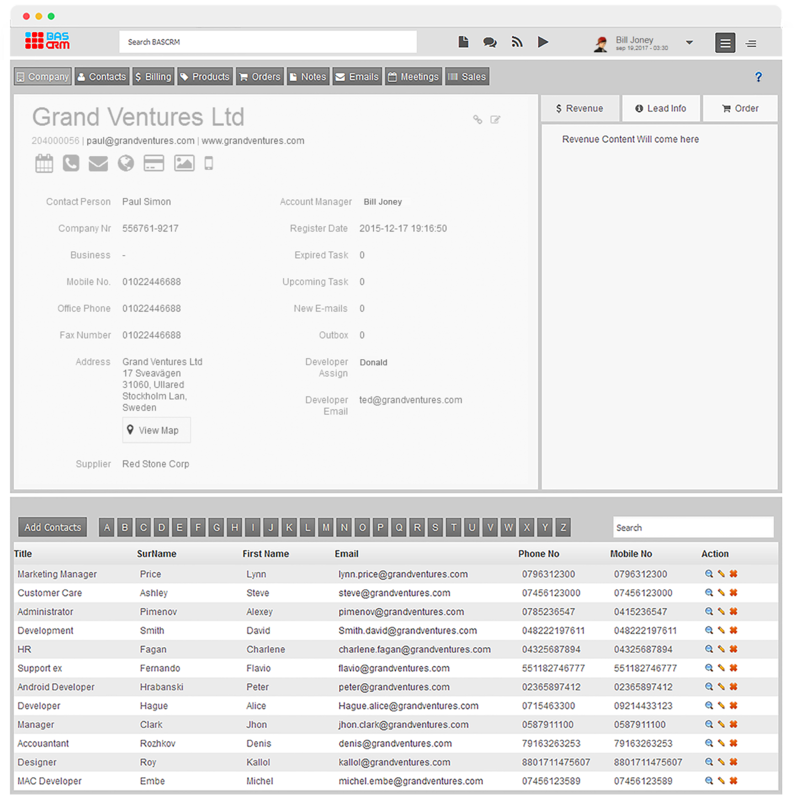 Track all contacts, activities, opportunities, quotations, sales, attachments and notes for an organization from a single, intuitive view. Attach documents, agreements, proposals and other files. Add vital information for your business and organize your contacts exactly as you see fit. Map your client’s organization - their roles and relationships should be visualized for instant understanding to find decision makers. Just start typing and your results will be presented in front of you before you're even done the first few characters. 360 degree overview of account and contact information.